Theodore J. Lowi died this week. I never met him. He is memorialized here in the Cornell Chronicle and here in the New York Times. 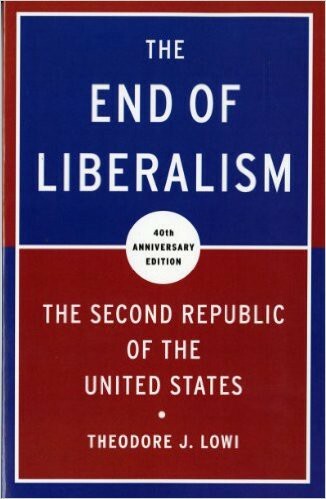 * Lowi’s book The End of Liberalism thinks the fact and meaning of the transformation of the United States from a federated republican democracy to a liberal democratic administrative state. If you want to understand how our liberal government has yielded a “cynicism [that] unavoidably curdles into distrust,” Lowi is an essential guide. 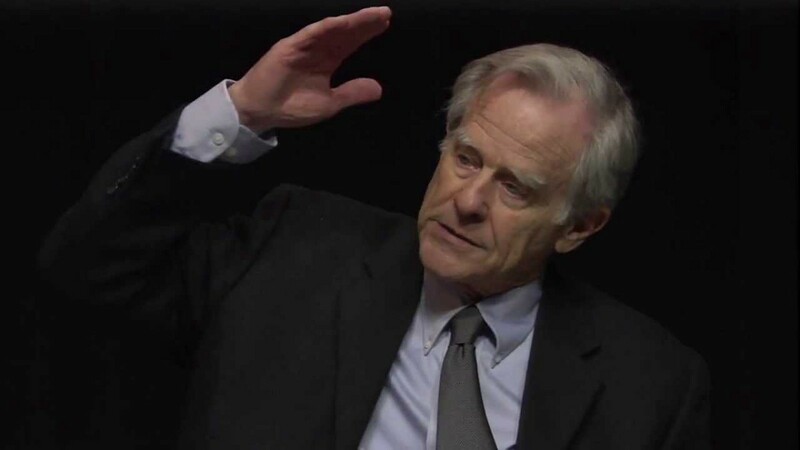 Lowi’s thesis is that liberalism has led to “impotent government, no less impotent because it was getting bigger.” While Lowi does not cite Hannah Arendt, his focus on the way liberalism renders democratic government impotent reflects Arendt’s own worries that the greatest threat to freedom in American was the growing bureaucracy of government. Arendt distinguished two kinds of bureaucracy. First, the bureaucracy of a deformed civil service that leads to inefficiency and vexations that serve not the public interest, but the interest of the bureaucrats themselves. The emergence of what Lowi calls the Second Republic has its roots in the Woodrow Wilson regime, but “began in earnest during the 1930s.” The first shift is in size. Federal domestic expenditures increased from .8% in 1929 to 4.9% in 1939. Today the Federal government spends about 20% of the country’s GDP. Importantly, Lowi does not oppose big government. He accepts the Roosevelt revolution as a necessary part of modern government. Lowi is not as accepting of the second shift from the First to the Second American Republic, however, what he calls the shift in function. In the First American Republic, 99% of government expenditures took the form of subsidies. The United States made land grants to settlers and to railroads, it offered tariffs to new industries, and subsidies to the merchant marines. It left the act of governing to the states. But from the 1930s onwards, the federal government adopted two “entirely new kinds of functions, … new at least for the federal government in the United States. These functions were regulation and redistribution. Lowi’s problem with regulation and redistribution was not their content, but that as the federal government began to exercise direct power over citizens, it moved the locus of that power from the Congress to the administrative agencies. “[I]t was during the New Deal that we began the probably irreversible change from a Congress-centered government to an executive-centered government.” This meant that Congress increasingly refused to pass clear and detailed laws that governed regulation and redistribution, but, instead, delegated broad powers to newly created and widely expanding administrative agencies to exercise the lawmaking authority of the country. The core of Lowi’s argument about the dangerous victory of liberalism is this shift from Congress to a professionalized bureaucracy as the source of legitimate lawmaking. In what Lowi calls the Second Republic, Congress almost never issues specific legislation. Instead, Congress governs by abstraction and invocation. Consider, for example, Lowi’s discussion of the creation of OHSA (The Occupational Safety and Health Administration). OHSA “was the first national effort to deal with all industry” and the first attempt by the federal government to take this vital function from the states. It is a vast conveyance of power to a large agency. But in the statute authorizing OHSA, “Congress did not attempt by law to identify a single specific evil that the regulatory agency was to seek to minimize or eliminate.” Nor, Lowi continues, did the statute “attempt to identify a single cause of action against which aggrieved employees or consumers would have an easier day in court.” Instead, the law offers “an expression of sentiments for the desired result. The OHSA legislation took as its purpose “to assure so far as is possible every working man and woman in the nation safe and healthful working conditions and to preserve human resources.” The law instructs the Secretary of Labor to employ any practice to provide safe employment. This has led, in practice, to OHSA to work closely with industry groups to develop standards. But what Lowi focuses on is that the standards are now not set by Congress or by democratic groups, but within a bargaining relationship between professional bureaucrats and industry representatives. Re-reading Lowi this week reminded me, as well, just how relevant Lowi is to understanding our current political situation. His argument that “Government that is formless in action and amoral in intention (i.e. ad hoc) is government that can neither plan nor achieve justice,” is a brilliant description of the government we have created. This is the government that satisfies neither the supporters of President Trump nor of Bernie Sanders. It is a government that frustrates everyone except those who finance and run the large organizations that are supported and protected by the administrative state. *An earlier version of this essay mistakenly said that there were no major obituaries of Ted Lowi. After this essay was written but before it was published, The New York Times published an obituary.